Dave Cannell and Pete Cannella, co-owners of Fratelli Ristorante in Sandy (9236 S. Village Shop Drive, FratelliUtah.com) invite you to join their Motorcycle Ride for RSD (Reflex Sympathetic Dystrophy) on Sunday, May 31. According to a press release issued by Dave and Pete, "Bella, age 10, and Lizzy, age 13, both have RSD. This condition is known as the highest level of pain one can experience. Bella has recently been diagnosed and is in a wheelchair, but Lizzy has been living with the pain for years. Yahvel, the single mother of the girls, must constantly fly back and forth between Utah and Florida to visit a specialist for transfusions for Lizzy. We are hoping to raise money for the family to offset the exponentially rising cost of treatments." The ride, which is hoped to become an annual event, begins with registration, coffee, bagels and scones at 9:30 a.m. 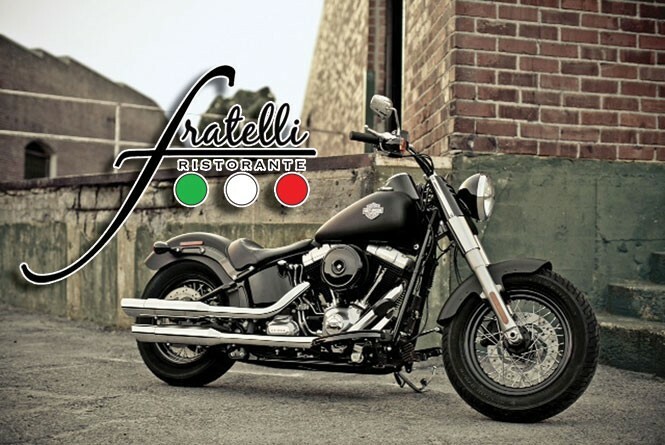 Following the motorcycle ride (10 a.m.-1 p.m.), there will be a barbecue at Fratelli, with a raffle and live music by DJ Sayo. The contribution is $15 per rider, which includes the registration breakfast, barbecue lunch, raffle ticket and shirt. Phone 801-495-4550 to RSVP. Tuscany restaurant (2832 E. 6200 South, 801-277-9919, TuscanySLC.com) is pulling out all the stops for Mother's Day 2015, offering both brunch from 10 a.m.-3 p.m. and a Mother's Day grand dinner, with seating available beginning at 6:30 p.m. The brunch is $50 for adults/$20 for kids under 12, and will feature prime rib, carved ham, an omelet station, seafood, salads, breakfast items, pastries and more. The grand dinner is $45 per person, and menu choices include a Tuscan pear salad; sous vide Wagyu steak with triple-cream potatoes, roasted Romenesco and Gorgonzola hollandaise; salmon piccata with lemon-caper sauce, a Tuscany dessert platter and more. Be sure to RSVP as soon as possible, because seating is limited. Fans of Ogden's Lucky Slice Pizza (TheLuckySlice.com) now don't have to travel quite as far north for a slice. A new Lucky Slice location has opened in Layton at 1246 S. Legend Hills Drive. Phone 801-820-6992 to place your pie order.